Programmable logic controllers (PLCs) are among the most common computers. Yet while these computers are incredibly prevalent, they remain less exposed than traditional computers. But PLCs reside all around us, automating everyday life. With an increased onus on automation, PLCs perpetuate this trend. Most machine functions, production lines, and automated processes benefit from the use of programmable logic controllers. Check out what a PLC is, how they work, and how they rule the world. You may be wondering what a programmable logic controller is What in the World Is PLC Programming? What in the World Is PLC Programming? In the world of manufacturing, there are computers, and then there's computer automation. While you may think you know all there is to know about computers, you just haven't even scratched the surface of using... Read More . A programmable logic controller is an industrial computer control system. Like a traditional computer, PLCs feature a processor. But its architecture is designed to interface with inputs and outputs. PLCs actively monitor I/O devices, then make decisions based on criteria from a program that controls output device state. Programmable logic controllers vary from tiny devices with a smattering of input and outputs to massive rack-mounted monstrosities. 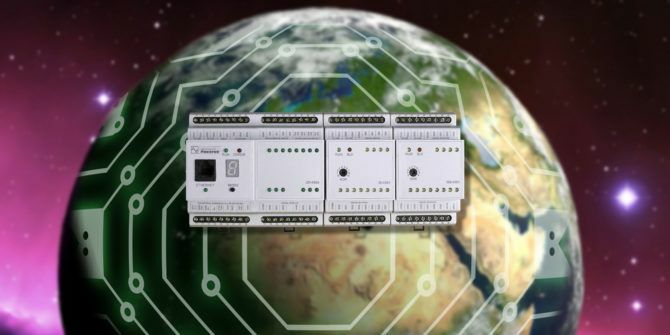 Manufacturing contributed to the popularity of PLCs with its need for automation. In the manufacturing industry, workers manually completed tasks. However programmable logic controllers allowed for automation in settings such as factories or heavy machinery. Thus PLCs are often rugged because of use in industrial situations. Therefore programmable logic controllers may feature electrical noise immunity, impact resistance, and the ability to withstand extreme temperatures. As the name suggests, you program a programmable logic controller. Initially, PLCs relied on proprietary programming terminals. These featured special function keys to capture the logical elements of PLC programs. However, in the mid-90s, PLCs witnessed a shift to programming on standard PCs using software rather than terminals. Instead, software depicts logic in a graphical format rather than characters. To program a PLC, you simply connect a computer using a peripheral like an Ethernet or USB cable for instance and program using software. PLC programming features open and closed switches or contacts. An on/off state is determined by its normal state. So a typically closed contact is considered on when the switch is not pressed, and open. But an open contact is on while it is pressed and closed. For its programming, PLCs use “ladder logic.” This is a basic programming language which appears like a series of electrical switches. However ladder logic is laid out within the processor in a sequence which controls everything that occurs. PLC programming is more akin to a series of electrical diagrams or blueprints. Ok, but what do programmable logic controllers do? PLCs take information from components and read the status of these inputs. Inputs are various switches or sensors. This could be a pressure pad, conveyor belt, or temperature gauge. When a device becomes active it triggers an output device to also become active. This could be as simple as pushing a pressure pad which turns on a light, or setting a timer which then trips an alarm when the timer reaches zero. The process works in phases. There’s an input read, where the state of input devices is scanned. Next there’s a scan for program execution which is based on the logic of a program. After that, outputs are scanned and triggered based on the state of inputs. Like a standard PC, a PLC features input/output (I/O) ports, a processor, and memory. With the capabilities of remote networking, it’s increasingly possible to use a standard desktop, or even Internet-of-Things (IoT) devices like Raspberry Pi computers to act as PLCs. Essentially anything that can sync with inputs and outputs as well as be programmed may function as a PLC. But dedicated PLCs boast features such as being able to withstand extreme conditions. That’s because many PLCs are used in industrial settings. Furthermore, programming PLCs is different than creating a standard web or desktop app. Programmable logic controllers rely on ladder logic. Nevertheless, newer processors can handle scripting languages as well. Like all computers, PLCs evolved to an increasingly advanced state. More advanced I/O devices like infrared sensors further aided in PLCs automating previously manual tasks. So what do PLCs actually control? Automation Mag has an excellent write up on PLCs and their history, as well as several use cases. According to Automation Mag, General Motors used PLCs as early as November 1969. General Electric also used programmable logic controllers in their infancy. Manufacturing sees the biggest benefit from PLCs with a focus on automation. As you can see, programmable logic controllers are probably the most prevalent computers that you never see. PLCs offer basic computing and automate world around us. Next time you’re picking your luggage off of the conveyor belt at the airport baggage claim, waiting at a drawbridge, or standing at a crosswalk, think about how a PLC automates this process. Notably, the demand for automation continues to impact the business world. Just as PLCs automated physical tasks, artificial intelligence seeks to accomplish the same with data processing. Although industrial PLCs remain less accessible to the general population, you can totally make your own project. 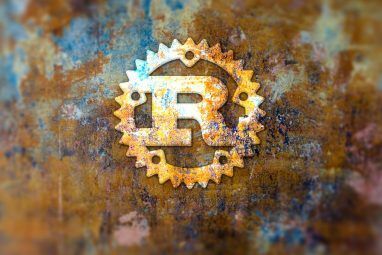 If you’re interested in delving into the automation and programmable logic controller realm, Arduino and Raspberry Pi boards are excellent DIY starters. Here’s a great Arduino beginner’s guide Getting Started With Arduino: A Beginner's Guide Getting Started With Arduino: A Beginner's Guide Arduino is an open-source electronics prototyping platform based on flexible, easy-to use hardware and software. It's intended for artists, designers, hobbyists, and anyone interested in creating interactive objects or environments. Read More . An Arduino can be used to control appliances Control Appliances From An Arduino: The Start Of Home Automation Control Appliances From An Arduino: The Start Of Home Automation Last time, I showed you a few ways of making your Arduino projects speech controlled via SiriProxy, OS X's built-in speakable items, and some Automator scripting, or even a dedicated voice recognition hardware chip. I... Read More and create a DIY smart home. Both Raspberry Pi and Arduino boards afford the ability to create automated setups. and you can tackle a bevy of neat home automation projects Home Automation Guide With Raspberry Pi and Arduino Home Automation Guide With Raspberry Pi and Arduino The home automation market is flooded with expensive consumer systems, incompatible with one another and costly to install. If you have a Raspberry Pi and an Arduino, you can basically achieve the same thing at... Read More . You can even ruggedize your Pi for use in typical PLC settings. What are your favorite examples of PLCs running the world? Explore more about: Computer Automation, Programming. PLCs run so many things I loved the line" the most prevalent computers that you never see. "